Whether you are looking to move to another state or right next door, InterstateRemovalists.Sydney offers a simple and stress-free moving experience for you. We have a vast experience of moving homes and we recognize that all of our customers have different requirements. No matter what your needs or budget, we will take care of everything in the moving process for you. Moving offices can be a stressful and laborious task that is simply impossible without the right tools. For this purpose, we have a dedicated office removals service that will make your moving experience stress-free with minimum impact on your business. Our team of experts have all the necessary tools required for moving all types of businesses – from small businesses to large organisations. For ensuring minimum loss to your property, it is essential that the packing and unpacking phase is carried out by professionals that have experience of handling fragile items in your household or office. We take care of the entire moving process from the packing stage to the unpacking and redecoration stage for providing a seamless experience to all our customers. Are you on a limited budget but still want to hire a top-quality moving service? Do you have a small moving job but do not want to book an entire truck’s space? Well then, InterstateRemovalists.Sydney’s backloading removals service is just what you need – it allows you to divide the moving fee with other individuals for a quick and reliable experience. Our moving operations are not limited to Sydney alone but instead, we are a well-known interstate removalists company that can relocate your home or office from Sydney to Adelaide, Melbourne, Gold Coast, Perth, Brisbane, and Canberra. We have a team of skilled professionals that are trained to disassemble and reassemble furniture for moving purposes. We will ensure the maximum safety of all your furniture so that you have nothing to worry about. Our experts will take apart your furniture and will reassemble it back into one for providing a convenient experience. MOVING INTERSTATE? WE CAN HELP YOU EVERY STEP OF THE WAY! Our team of professional removalists are experienced house movers that know exactly how to relocate you around the country. We understand that moving is a complicated task and it requires great attention to detail. This is exactly why our skilled movers work with you on every single step of the moving phase to tailor the services to suit your individual needs and budget. We have experience in moving houses of all sizes – from moving large homes to small businesses, our wide range of services cover everything. We have a dedicated fragile removals team that are responsible for packing and unpacking delicate and heavy items. From baby grand pianos to antiques and artwork, we ensure the maximum safety of all your fragile items. We take full responsibility of dismantling, packing, wrapping, and reassembling your furniture. We have a fair-charging price system which means that everything is upfront and there are no hidden costs involved. We promise to provide you with the best quotations for your moving job. We have well-maintained and professionally managed storage facilities that can be booked anytime that you like. The best part is that there are no minimum costs – just pay for the time and space that you need! We handle the entire moving process for you – from packing to unpacking and redecoration, we ensure that you are completely settled in your new home before terminating the contract with you. We are not a company that keeps our clients guessing. Before we indulge into any kind of commitment with you, we offer you a free quotation for the job so that you can decide whether you require our services or not. However, we can assure you that we will quote you the best rates for your moving job so that it is within your budget constraints. We all acknowledge the fact that moving is a stressful task and it is almost impossible to carry out on your very own. Recognising this, InterstateRemovalists.Sydney provides you with the entire package of moving services so that you have nothing to worry about! From the planning phase to the unpacking phase, everything comes under the vast domain of our services. There are several routes that can be taken when you are travelling from one location to another. However, for moving, it is necessary that a route with minimum traffic and smooth roads is taken to ensure that all your valuables can be relocated quickly and safely. This is why we analyze all the possible routes from your old location to your new location and pick the one that is most suitable for the moving job (while keeping in mind the time constraints). We know the importance of having the right tools for assembling and disassembling your products (particularly your furniture). These tools include the basic screwdrivers, wrenches, and pliers. We provide you with these to ensure that you are rightly equipped for the job, that is in case you decide to take care of the assembling and disassembling of your products on your own. We provide you with all the necessary products for packing your valuable items so that everything is in order for the relocation process. Being professionals in the field, we know exactly what is needed for packing your items and that includes shrink-wraps, tapes, boxes, mattress covers, and creates. For fragile items, we provide bubble-wraps as well but we would recommend that you leave the packing of fragile and heavy objects to us (for ensuring maximum safety of your valuables). You are likely to have a super-busy schedule during the moving days and it is necessary that we coordinate a time at which the relocation can take place. However, it is not always important that you are available at the time that you give us, we won’t charge you for that! Our communications team gets into contact with you before we send our moving truck to your location. This is to ensure compliance on both ends, and to make sure that you are completely ready for when the moving process starts. This is perhaps the most important service that we have on offer. We take full responsibility for all your property which means that any damage to your valuables is insured by us. If any of your items get damaged during the moving process, then we will compensate you in every manner possible. Rest assured though, we treat your valuables just like they are our own (and hence take the best possible care of all your items). We are a team of highly skilled professionals that are trained and experience at relocating homes and businesses. Our removals service is handled by some of the best professionals in the country and we can assure you that everything will be taken care of in a planned and proficient manner. We are a trustworthy and reliable removalists that always puts the customers first. Moving is a complex and stressful process that involves numerous complicated steps that need to be taken in a chronological and planned manner. From the hassle of planning to adjusting in a completely new environment – everything is part of the moving process. However, when you are involved with all of the nitty gritty details of the moving, you tend to feel even more stressed and emotionally traumatized than you would normally. We understand how difficult moving can be and we assure you that we will take care of everything for you. Our wide range of services cover everything from planning to the unpacking stage, everything will be taken care of by us. Not just this but our professional team of movers will redecorate your new home to look just like your old one to make sure that you feel more comfortable in the new environment. LOOKING FOR SYDNEY’S MOST EXPERIENCED AND HIGHLY TRUSTED INTERSTATE REMOVALISTS? There are no additional or hidden costs for the time that it takes for our trucks to reach from our office to your house i.e. there are no travel time costs for reaching your location! As with travel time, you are not required to pay for the fuel that is consumed during the moving process. While some moving companies will keep such costs hidden, we clarify everything in our quotation and would like to inform you that there are absolutely no charges for the fuel consumption. We are a service of the modern-era and we do not believe in normal and urgent bookings but instead, consider all bookings to be equal in urgency. Whether you book a month before or a minute before you want us to arrive, we will not charge you for the booking itself. There are no penalties or extra charges involved for last minute bookings. The dismantling and assembly of furniture comes within the domain of our packing and unpacking services and it is a value-added service that we provide to all of our customers. There are no charges involved for the disassembly and reassembly of your furniture, baby toys, and similar other items. We will only charge you for the time that it takes to assemble and disassemble the furniture but there are no additional costs for the service itself. Our services are operational 7 days a week. 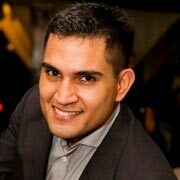 Our team is dedicated to providing quality services to our clients on any day of the week. We will not charge you extra just because you want us to relocate you on a public holiday or the weekend. The quotation we provide to you does not cater to the day(s) of moving so there is nothing to worry about in this aspect. Unlike most other interstate removalists services, we do not charge you callout fees at the time of booking. A callout fee is charged to accommodate the travel and fuel costs that it are involved during the moving process and it is a fee that is charged other than the quoted moving costs. However, at InterstateRemovalists.Sydney, there are no additional or hidden costs involved – we will charge you according to the quotation that we provide you with, nothing more. There can be countless reasons for cancelling a moving request – you might reconsider the time of relocation, you might have some leftover tasks to perform in your current residence, or you might want to not move at all. Regardless of what reason there is, we will not charge you when you cancel a booking with us, no questions asked! If you are relocating to a house or office that has stairs, then we will not be charging you for moving your valuables to the first floor i.e. there will be no extra charges for moving and unpacking your items on the ground floor or the first floor (but you will be charged a minimal fee if you need to relocate to the second floor). We will assist you in all the preparation for moving, from the planning phase to the lead up to your move. We understand how difficult it can be to move interstate and we want you to alleviate all your worries by taking care of everything for you. We create a plan for packing and transporting all of your valuables which is sent to you for your approval so that you can add in your specific requirements as well. Our support team is active on all days throughout the moving process to ensure that all your queries and requests are well tended to. You never have to worry about a single thing with us. Our team of professional movers will disassemble, pack, and reassemble all your belongings in a safe and secure manner. We will even arrange and redecorate your belongings for helping you to settle in your new residence. Packing and Unpacking: Our team of experts are professionals at handling household goods. We assure that all of your assets will be categorised, packaged, and sorted in a secure and reliable manner. Our categorisation techniques make it easy to transport fragile goods and heavy items separately for an enhanced experience for our clients. Once we have transported all of your items to your new home, we will also help you in unpacking and redecoration as well. Secure storage: We have a number of storage warehouses available (in different sizes) that you can book for temporarily storing your items for safe keeping. We provide bookings for all space and time requirements and ensure that everything is in order with your budget. Furniture dismantling and reassembly: Packing your furniture is perhaps the most difficult stage of house moving. This is because handling household furniture can be a tedious task, especially if you are not equipped with the right tools to dismantle them. Our team of trained professionals are experts at dismantling, packing, and reassembling household furniture which ensures a stress-free experience for all our clients. Automobile transportation: If you are the owner of an automobile or vehicle then InterstateRemovalists.Sydney has you covered. We have a complete fleet of trailers and trucks that are used for moving vehicles such as cars, boats, and RVs. Planning: Our team of professionals will personally visit your office location to compile a list of inventory and items that have to be moved (according to your requirements). We will then take into account your time and budget constraints to draw up a thorough, step-by-step plan for relocating your business interstate. Once the plan is approved by you, we will move on to the actual packing phase. Furniture and fixture installations: We have a team of experts that is trained at dismantling office furniture and fixtures for safe and easy transportation. Once your furniture and fixtures have been disassembled, it will be packaged and categorised for transportation to your new workplace. After we have moved your office equipment, our team will reassemble everything during the unpacking phase. System relocation: If you have a computerised system setup at your current workplace then our team of skilled technicians will assess the system’s wiring and configuration before disassembling it. After the system has been transported, they will reconfigure and rewire your computerised system at your new workplace so that you have nothing to worry about. Packing and unpacking: Our range of services incorporate everything from the packing and categorisation of your office equipment to the unpacking and redecoration phase. We carefully categorize all your office items to ensure that the fragile and heavy goods are securely packaged and crated before transportation. We also provide other office relocation services such as secure warehouses, records storage and management, inventory management, and plant relocation. Contact us so that we can provide you with a package that is customised to suit your exact requirements. Moving interstate can be a taxing task, especially if you are relocating for the first time. What you need is an excellent interstate removalist such as InterstateRemovalists.Sydney. We are an experienced team of professionals interstate removalists that have been moving homes and offices within Australia for over a decade now. Our coast to coast delivery service allows us to securely and reliably deliver your goods literally anywhere in the continent. We have a thorough country-wide map with an in-depth knowledge of all the routes that exist between the numerous states of Australia. This knowledge helps us draw up a detailed plan for moving, shipping, and logistics so that the maximum security of your goods is ensured. When you book with us, we take up a route that is most suitable to your time and budget constraints. InterstateRemovalists.Sydney has a caring and attentive customer care service that will assist you in fulfilling each and every one of your moving needs. Our customer service is available to you on every single day of the week so that your queries can be answered spontaneously. Our range of interstate removals services include planning, packing, transportation, warehousing, and unpacking all your valuables that are to be transported from Sydney to other states in Australia. Looking for complete relocation services? We are not a moving company that provides services for logistics and transportation only but instead, we provide the complete range of relocation services. Relocation is an intricate process that involves numerous steps that need to be carefully planned out for a safe and reliable moving experience. InterstateRemovalists.Sydney is an all-around moving company that provides you with all the necessary relocation services that you need for moving your home or office to another state. Our wide range of moving services include extensive planning, inventory assessment, transportation, automobile relocation, packing and unpacking, furniture disassembly and reassembly, warehousing, and redecoration. Everything from making your moving checklist to helping to settle in your home is covered by our vast array of services. Enjoy peace of mind and a stress-free moving experience with the complete relocation services that are provided by InterstateRemovalists.Sydney. WE OFFER A PROMPT AND PROFESSIONAL INTERSTATE MOVING AT COMPETITIVE RATES. Why you need professional interstate movers? 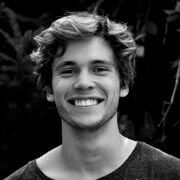 Moving to a different state within Australia can be a daunting task, especially if you are not aware of the climate, culture, or economic factors that exist in the state that you are moving to. 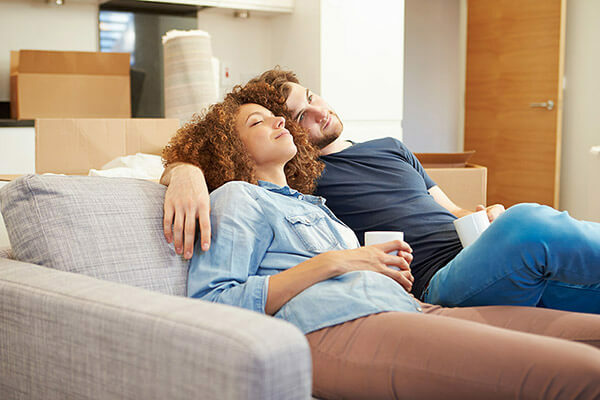 There are numerous physical and emotional factors involved with the moving process that need to be taken care of for a comfortable and stress-free moving experience. While you need to cater with the emotional factors on your own, professional interstate movers can facilitate your move with state-of-the-art technology and experienced planning for ensuring a smooth and reliable moving experience. We all know that moving is a complicated task that can be stressful, especially when you are looking to move interstate. The fewer the things you need to worry about, the better moving experience you have. Hiring an experienced and reputable interstate moving company such as InterstateRemovalists.Sydney will ensure that your valuables are handled by professionals that know exactly how to take care of them. Professional movers such as InterstateRemovalists.Sydney are reliable because this is their job and it is exactly how they build their client base, by building trust. You can not always rely on your family and friends to facilitate you during your move but a trusted interstate moving company will provide you with all the services that you need to enjoy a comfortable and efficient moving experience. When you are handling your valuables on your own, you are accountable for any damages that are made to your own property which basically means that you will be at a loss if anything gets broken or damaged. However, this is not the case with a professional interstate moving company because if something is damaged, it is their own fault and they will do whatever is possible (such as reimbursement) to make up for your loss. In short, to ensure the maximum security of your own items, hire a professional mover that provides personal liability insurance. The success of any professional moving company depends on how reliably it can deliver a person’s belongings from one place to another in a timely manner. This means that you can work with any successful professional interstate removalists such as InterstateRemovalists.Sydney to ensure the quick and secure delivery of all your valuables to your new location. When you are handling weighty goods such as furniture on your own, it is not recommended that you carry out the heavy lifting on your own. Even if you are in good shape, heavy lifting will strain your body and is likely to cause severe injury, especially if you are not experienced at moving such items. Professional Removalists, on the other hand, life heavy goods on a regular basis and understand exactly how to do it without injury or back strain. This is perhaps the most important reason to hire a professional service – nothing is more important than your safety! No job is too big or too small for our interstate moving team. We are a professional team of movers that have an extensive experience of over a decade in the moving business. We have worked with an expansive list of clients that testify to our reliability and trustworthiness. In our years of work, we have taken up countless projects that range from moving small one-room apartments to huge estates. No matter what the size of your moving job may be, we assure you that we can take it up. We will customise our moving services to suit your exact requirements and preferences for the job, no matter how big or small it is! We are most experienced interstate removalists. 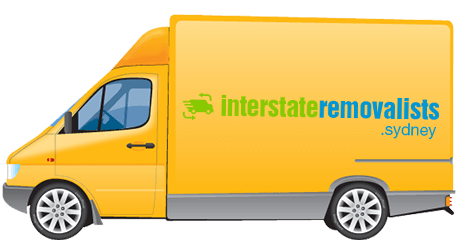 InterstateRemovalists.Sydney has been around in the moving business for over a decade now. We have covered innumerable projects with many clients in our years of work and each one of these clients has acknowledged the fact that we are the most trusted and reliable interstate removalists in the country. Our vast experience and modern-day equipment is what sets us apart from all our competition. We have a team of skilled removalists that are trained to handle moving jobs as small as one-room apartments and as big as large offices. Moving can be a stressful task but with the help of a reliable removalists company such as InterstateRemovalists.Sydney, you can easily get rid of all your worries. Let us help you in moving your home or office to another state because no move it too big or too small and no distance is too far nor too close for us. Melbourne, the coastal capital of Australia, is the most populous city in Australia that is also the most common place to move to for most people in Sydney. InterstateRemovalists.Sydney has a dedicated service for relocating your home or office from Sydney to Melbourne. We have our headquarters established in Sydney where all your goods are managed before they are transported via the quickest route to your new residence or office in Melbourne. If you are looking to move to the beautiful city of Brisbane soon then you will be glad to hear that we have a moving service that is devoted to moving offices and homes from Sydney to Brisbane. The fact that we have this dedicated service ensures that your moving experience is an efficient, safe, and reliable one since we know our way around these cities. We can guarantee you that we will relocate your valuable items to Brisbane in the safest manner and quickest time possible! Canberra is the largest inland city in Australia and it is well known for its oceanic climate. It is another city that most people move to from Sydney for various reasons (including employment). If you are looking to move to Canberra soon then we have some good news for you. InterstateRemovalists.Sydney has a removalists service that is committed to moving you from Sydney to Canberra through the best routes possible to ensure the quickest delivery time and maximum safety of your goods. If you are looking for a cheap removalists service that can facilitate your move from Sydney to Adelaide, then you are in the right place. 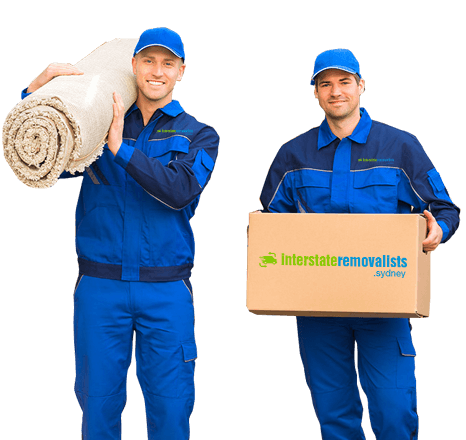 Here at InterstateRemovalists.Sydney, we provide you with all the services that you need to relocate your home or office from Sydney to Adelaide. We will help you in planning your move, packing your valuables, transporting your goods, unpacking your items, and settling in your new location. You can expect the very best from our removalists company. Perth is considered to be one of the most beautiful cities in Australia and if you are situated in Sydney then you have to cover a huge distance of approximately 3290 kilometers to reach Perth. Now imagine how it would be like to relocate your home or office to Perth! Fortunately though, we have you covered with our Removalists Sydney to Perth service that is affordable, reliable, trustworthy, and efficient at moving entire homes to Perth with relative ease. We take away all your stress and make moving a comfortable experience for you. Gold Coast is well known for its surfing spots, long sandy beaches, elaborate canal systems, and theme parks such as Dreamworld. We come up with numerous requests of relocation to Gold Coast which is why we have drawn up an intricate plan for moving homes from Sydney to Gold Coast. We provide the complete set of removals services from packing and unpacking to the transportation of automobiles – everything is covered by our Removalists Sydney to Gold Coast service. The benefits of using our interstate removalists..
We have a professional removalists that has a minimum of 3 years of experience in the moving business. No hidden costs, no overheads – we only charge you for door to door pricing. Our charges are applied in 15-minute blocks only (after the first two hours). We have a wide range of trucks available (in different sizes) that are suitable for all types of moving jobs. Our trucks are internally carpeted for added cushioning during transportation. We make use of the most expensive and thickest blankets to protect your goods – there is nothing more important to us than keeping your goods safe and secure. We have a dedicated staff for operations that have will contact you before, during, and after the move for ensuring that everything is in order and up to the mark of your requirements. We have numerous trucks departing from Sydney to Melbourne on a weekly basis, this allows us to fulfil all of your backloading requests for delivering your items safely and efficiently to the city of Melbourne. We can organise a swift pick up of your goods from Sydney that will then be delivered to your desired location in Melbourne at incredible rates quickly and reliably. Our backloading service from Sydney to Brisbane offers you the luxury of moving your items (no matter how big or small) to Brisbane at unbelievable prices. We have several outgoing trucks from Sydney to Brisbane that facilitate the service of backloading between these cities. This service is particularly targeted towards individuals and families that are looking to relocate from Sydney to Brisbane at an affordable rate. We have a dedicated backloading service for moving goods and furniture from Sydney to Canberra. If you are looking to transport something from your hometown to Canberra at a low cost without compromising on the professionalism or reliability, then this service is just what you need. We will expedite your moving request by utilizing our trucks that are already in-route to Canberra. We guarantee the secure and efficient delivery of all your valuable items. A backloading service saves you from having to pay the costs of a full truck (even if you just need the space of half a truck). InterstateRemovalists.Sydney has a number of trucks that are in-route from Sydney to Adelaide and you can hire our services to move your valuable items between the two states at an economical price. Our trucks are always ready to facilitate your move and we assure you that all of your goods will be relocated in a reliable and trustworthy manner. The capital of Western Australia, Perth, is one of the most popular residential states in the country. There are numerous people that move from Sydney to Perth for residential (and even commercial) reasons. If you are looking to relocate to Perth anytime soon and want to hire a professional service at the most economical rates, then our Backloading Sydney to Perth service is just what you need. We offer you some of the most affordable rates without compromising on the professionalism or quality of the service itself. InterstateRemovalists.Sydney has a fleet of trucks that are constantly going to and coming from Gold Coast. If you are looking to relocate your home or office to Gold Coast soon then you can get in touch with us for your moving job. We will accommodate your valuables within our trucks and ensure the maximum safety of all your belongings. The benefit of using our Backloading Sydney to Gold Coast service will be lower costs and quick delivery time for all of your goods. Cheap interstate removalists that don’t compromise on professionalism. At InterstateRemovalists.Sydney, we offer you some of the lowest rates for the quickest transport services because we specialise in backloading. We utilize the free space that we have in our trucks when they are making deliveries to offer you some of the best prices in the moving business. With us, you never have to worry about hidden costs or additional costs because we put the customers above everything else. Our services incorporate numerous value added services such as no costs for stairs up to the first floor and free furniture assembly and reassembly that ensure that you have the best moving experience at the lowest price. Despite the fact that we are cheap interstate removalists, we do not compromise on the quality of our services. We are experienced professionals that have been working in the removalists business for a long time now and we can assure you that everything will be taken care of in a proficient manner. Why choose us as your interstate movers? We have an intricate plan for moving interstate within Australia. All of the routes that we select to transport your valuables are carefully chosen for ensuring quick delivery time. We assure you that we can move you within the deadlines that you set for us, no matter how small they are! We put the customers above everything else – our team consists of skilled professional removalists that know how to respect the customer’s need. We are a cooperative group that will keep you involved with all the steps in the moving process. We have a straightforward pricing plan that takes into account your exact requirements to ensure that you can avail our services at affordable prices. Our experienced team will customise the moving package according to your preferences and budget to ensure that you get the best rates in the market. With us, there are no hidden costs and no overheads! InterstateRemovalists.Sydney is a renowned moving company in Sydney that has been around for over a decade now. We have a vast experience of working with various types of moving jobs and we know exactly how to handle your valuables. We can guarantee the maximum safety of all your goods and we assure you that your moving experience with us will be a reliable one. There is nothing more important to us than our customers which is why we provide you with expert advice on your moving plan, even before you book with us! You can contact us at any time (before, during, or after moving) and our skilled team of customer service providers will guide you on the right path! We make use of cutting edge equipment, trucks, and trailers to facilitate the moving process. This ensures the smooth operation of the relocation process to ensure that you have a stress-free, efficient, and reliable moving experience. When it comes to punctuality, we are just the moving company that you should come to. We take deadlines very seriously and ensure the delivery of all your valuables within the decided time limit at all costs. The entire moving process is carried out at the set intervals, regardless of how tight the schedule may be. We understand that moving is a complex process and there can be changes required in the plans every now and again. We facilitate you with services that are versatile and can be adapted to meet your exact requirements, as needed. We are not a moving company that is money-oriented but instead, we are customer-oriented. Whether it is the planning or the handling of your goods, we take care of each step as if it was a personal relocation project and ensure that the maximum possible effort is put into each and every step of your moving job. Our customers are our most valuable asset which is why we are dedicated to ensuring your utmost satisfaction at all costs. From the initial step of booking to the final step of redecoration, we keep you closely involved with everything to make sure that you have the best moving experience possible. We are available 24 hours a day, 7 hours a week, and 365 days a year to facilitate your moving process in the best manner possible. Whether it is the weekend or a public holiday, we will help you relocate to your new destination safely and reliably at any time of the year. We are a team of professionals that have years of experience in the moving business. We are skilled at handling all the processes that are involved with moving from checklists and planning to unpacking and redecoration of your new home, everything is done in a professional and tactical manner. We understand that moving is a stressful task that can take away most of your mental peace. For this reason, we ease your troubles and provide you peace of mind by taking care of every single step in the moving process from the planning stage to the unpacking stage. Enjoy a stress-free, trouble-free, and worry-free experience with InterstateRemovalists.Sydney. InterstateRemovalists.Sydney is not just a transportation company that provides services for relocating from one state to another, but instead, we are a moving company that provides you with the complete set of relocation services from checklist formation and planning to furniture reassembly at your new location. We have a customer service that is dedicated to providing you with guidance and support 24/7 – you can contact us at any time and we can assure you that all of your queries and requests will be catered to by our caring customer representatives. We have detailed maps of Australia available at our headquarters that list down all the routes that exist between states. Through this extensive knowledge of locations, we can choose the best routes possible for ensuring the quick and safe delivery of your valuables. There is nothing that matters more than our customers’ satisfaction – we keep you close to each and every single step that we take in the moving process to make sure that is everything goes according to plan. Your satisfaction is guaranteed at all costs. OUR REPUTATION HAS MADE US ONE OF THE MOST RELIABLE INTERSTATE REMOVALIST IN SYDNEY. We guarantee safe interstate furniture removals. Moving furniture is perhaps the most difficult part of relocating interstate. This is because there are several steps involved in the process of moving furniture – these include the dismantling, packing, transportation, unpacking, and reassembly of the furniture. We here at InterstateRemovalists.Sydney facilitate you with a team of professional removalists that are experienced at handling furniture. The best part is that our furniture disassembly and assembly is free of cost which means that we offer you this luxury without putting more burden on your wallet. We assure you that your furniture will be disassembled and packed by professionals that know exactly what they are doing for ensuring the maximum safety of all your valuables. Once the furniture has been transported, it will be unpacked and reassembled back to its original state again. We can guarantee you that you will have a trouble-free experience of furniture removal with our company. After you have entrusted your belongings to our care, we ensure that you know exactly what is going on and what is going to happen. We have a professional operations staff that keeps in constant contact with you during the long-distance move to let you know exactly where your goods are. We review and put in our utmost effort to enhance the quality of service that we provide. During every move, we listen to your concerns, evaluate your requirements, and ensure that everything is done just as you say. We have a GPS monitoring system installed on all of our vehicles so that we can monitor where they are at every minute of the moving process. We let know about the exact location of your good when you ask and automatically inform you half an hour before your valuables reach the destination. Once you hand over your material possessions over to us, we treat them just as we would treat our own goods. We are not the typical movers that treat you like ‘just another client’, but instead, we show concern and care for your valuables. We ensure that everything is done with the same dedication and focus that we would have if we were moving our own goods. Moving is a complex task and we tend not to make it more complicated for you. We use the same people that get into contact with you at your old location to move your valuables to your new location. You will not have to deal with the hassle of having to communicate with different people every time. We assign a team of experts to each client that is responsible for taking care of the entire moving process from start to end. The primary concern of most clients is that their goods will not be tended to properly during the relocation process. Nobody wants to face the disappointing damaged furniture or items at their new location. However, this is not a worry with IntestateRemovalists.Sydney because we prepare your belongings with extra-thick blankets and carpet the walls of our trucks to ensure that minimum damage is done, even when the truck goes through a bump in the road. Not just this, but we also provide a replacement and reimbursement insurance that ensures all damages will be covered by us. There is no job that is too small or too big for us. We assess your exact requirements and provide the right capacity vehicle with you that not only saves costs but ensures a more efficient and reliable moving experience to all of our clients. We are able to provide you with affordable rates that are inarguably the most competitive prices in the market. You can contact us via email or telephone to get in touch with our customer representatives – they will let you know about the price for your moving job based on your exact preferences. All our prices are exact and precise, there are no hidden costs or overheads that you will help to bear during the moving process once you have made a booking with us. My heartfelt gratitude to the experts who handled the removal of our family furniture and stuff! I am so glad to have chosen Interstate Removalists Sydney as they made our moving to our new hope stress-free and efficiently done. Kudos to you and your able team! Thanks for proving me right in recommending Interstate Removalists Sydney to take care of the office furniture of our new branch outlet. Your skills and professional lifting services made the transfer of our vases and other fragile cargo a success and that is very much appreciated. Thanks to you and your experts!!! I am very happy with the way Interstate Removalists Sydney removed our furniture and clothes from our old home to our new one. Friendly and reliable movers came to pick us up on time. They also knew how to properly transfer our piano and that was the main worry I had. It is a very expensive and beautiful instrument so I had misgivings about getting it removed in the first place. Will contact you again whenever I need something removed. It’s my first time to take charge of the furniture delivery of our newly established business so I wanted to make sure it was done right. Hiring Interstate Removalists Sydney to handle that is one of the best decisions I have done so far. My clients now enjoy lounging on their new furniture and I am making a good start in terms of client patronage. Thanks so much! Now that you know everything that we have on offer for you, let us make your interstate move a comfortable and easy one. We offer you the most convenient and reliable way of moving your home or office from Sydney to other states in Australia. With us, there is never a concern about safety, time, or budget because we customise every package to suit your exact preferences. Contact us so that we can start your move today! What are the removals services that you offer? Our comprehensive removals services cover the entire variety of moving services that include house removals, official removals, interstate removals, packing services, unpacking services, and transportation. If you are looking to move your home, then our house removals services are perfect for you, whether you are moving within the same city or interstate. If you are looking to relocate your business or office, then our office removals services are well suited for moving organizations of all sizes. Our complete moving services provide you with peace of mind by taking care of everything from the planning and packing to transportation and unpacking of your belongings. Yes, our services extend across all states and cities within Australia. Interstateremovalists.sydney offers you its complete range of services across the whole of Australia. Our removals services can help you move your home or office from/to Sydney, Melbourne, Brisbane, Canberra, Adelaide, Perth, and Gold State with utmost convenience. Our warehouses and offices are strategically placed across the country to provide you with a stress- free moving experience. How can I get a quotation for your removals services? Our quotations service helps you plan and allocate a budget for your move accordingly. We are not a service that likes to keep its customers guessing since we provide free and comprehensive quotations with no hidden or additional costs involved. You can submit an inquiry and request a quote from us by contacting us via your website . Our team will get in touch with you over call and prepare a quote tailored to your specific removals requirements. Yes, our quotations are free of cost for all of our customers. From analyzing your requirements to inspecting the move, we deliver you with an accurate and reliable quotation for your move. Our quotes are sent to you within a day via email or post, as you request. We can even provide you with urgent quotations within the hour without charge. Do you provide services for plant removals? Yes, we will move your plants to your new location. Most removals services are not willing to provide plant removals services because of the fragile nature of these plants. However, interstateremovalists.sydney is well-equipped with professionals who know just how to handle moving small and large plants. We have specialized packaging materials and boxes for small plants, and we load large plants directly into our trucks that have controlled temperature and humidity. Our professional removals will take care of everything including the plants, soil, and the base to facilitate your move. Do you provide services for vehicle removals? Yes, our vehicle removals services cover the move of motorcycles, cars, golf carts, and SUVs. You will have to inform us if you plan to move your vehicle in advance of the move so that we can arrange resources such as personnel and trucks accordingly. Vehicle removals are particularly recommended for people who are moving interstate and would not like to drive their vehicle all the way to their new location. We guarantee the safety of your vehicle through our professional vehicle removals services and even provide you with insurance for vehicles. Do you provide services for moving barbeques (BBQ)? Yes, our team of skilled removalists is equipped with the right tools and expertise to handle the move of all kinds of BBQs. From cleaning and disassembling your BBQ to packing and transporting it safely to your new location, we take care of everything for you. No matter what the size or type of your BBQ, we will handle the move for you. Can you disassemble, reassemble, and move furniture? Yes, we will handle the complete process of furniture removals for you. Our team is equipped with all the right tools and skills that are necessary for handling all kinds of furniture including beds, dressers, tables, cabinets, and closets. We are professional removalists who know exactly how to disassemble furniture at your current location, transport it, and then reassemble it in your new location. Our professionals take additional care of furniture items to ensure they are not scratched or dented during the move. Can I help the removalists with the move? Yes, a helping hand is always welcome! We understand that this is your move and provide you with the freedom to steer it in the direction that you would like. However, our professional removalists take away the stress and burden of the move by guiding you through each step to ensure a risk-free and safe moving experience. Do you have clean and hygienic trucks? We take special care of hygiene and cleanliness of our trucks to provide a safe and protected environment for moving your belongings. We maintain and wash our trucks after each move we perform to guarantee clean and hygienic trucks. All moving trucks are our own property (and not outsourced) which ensures that we maintain consistency across all moves. Not just the trucks, but our drivers also follow best practices for hygiene to keep the process of your move from loading to unloading protected from bacteria and germs. Do I have to deal with paperwork? Yes, you will need to cooperate with us through paperwork for the contract and insurance documentation. Our professional removals services come with a standard contract that states the quotation and requirements for the move, including the services that we will provide. The insurance documentation provides you with a guarantee of the safety of your valuables that you have paid insurance for. If you are moving interstate, then we will also provide you with an inventory list and checklist for facilitating your move. Do you provide services for moving pianos and pool tables? Yes, we provide services for moving (and insuring) pianos and pool tables. Most pianos and pool tables are made from special materials that is sensitive to scratches and damage. Additionally, these billiards and pianos are weighty which makes them an inconvenience to move on your own, without professional help. Our team of professional removalists know exactly how to pack, load, transport, and unpack pianos and pool tables with extreme caution, ensuring their safety at all times during the move. Should I book my move early? Yes, it is advised to book as early as you can in order to reserve the right day for your move. Often, our customers make bookings at least a month before the move to ensure that everything can be planned and organized accordingly, particularly if their move is to take place on the weekend or a public holiday. Booking early is recommended because it gives us time to evaluate the move, plan out the moving processes, and provide you with peace of mind with your move. If you have a tentative schedule or dates, you can let us know and we will keep those dates reserved for you to avoid any inconveniences afterward. Due to our packed reservation schedule, we cannot guarantee last-minute moves at all times and therefore, it is advised to book your move in advance and early. 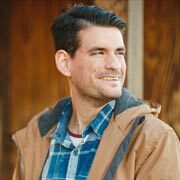 How should I pay for my removal? We understand that different customers have different preferences for method of payment. This is the reason that we facilitate you with all kinds of payment methods including payment by cash, payment by pay order, payment by credit card, and payment by bank transfer or deposit. Our removalists are equipped with mobile Electronic Funds Transfer Point of Sale (EFTPOS) devices that can accept payments via credit cards and debit cards on-the-go. *Please note that card payments often have a fee attached with them from the card provider and you should be aware of them before deciding to pay via card. When should I make the payment for my removal? All payments should be made in advance i.e. before the moving day so that we can provide all facilities accordingly. If you would like to request a different payment schedule, then you can contact us to get in touch with our representatives. How much time does it take to load a removals truck? The time for loading a removals truck primarily depends on the size of your move, but it is affected by a number of other factors as well. First, the number of boxes that you have for your move affect the time it takes to load our removals truck. Second, we assess whether furniture, pianos, vehicles, or other large items need to be moved and how will these items be loaded into the truck. Third, we consider how many floors do you have e.g. moving boxes from the second floor to the truck takes longer than moving boxes from the first floor. Therefore, there is no fixed amount of time for loading our removals trucks and it can vary anything between 1 hour to up to 12 hours depending on the factors we have mentioned. Do you operate on public holidays and Sundays? We are available for our clients 24/7 i.e. 24 hours a day, 7 days a week. We provide you with our removals services at any time of the day and during any day of the year including public holidays and weekends (Saturdays and Sundays). Most of our customers find it convenient to move on a holiday or the weekend to minimize the loss of business or work and we are here to accommodate that. However, for removals on public holidays and weekends, you need to book in advance so that we can organize our resources and provide you a convenient experience. Do you provide services for pet removals? Yes, we provide services that cover the move of your pet animals including (but not limited to) cats, dogs, parrots, and rabbits. Our professional removalists understand exactly how to take care of pets over the course of the move to keep them healthy and safe. If you would like to move your pets over long distances such as interstate moves, then you will need to let us know in advance so that we can arrange a cage and food for the pet in advance. Do you provide services for antique removals? 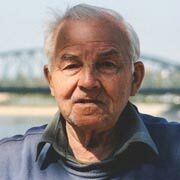 Yes, our antique removals services cover the preservation and move of all your valuables. We understand that antiques are priceless, and you can not find replacements with an insurance amount. This is the reason we take extra care of your antiques to ensure that these are moved with utmost care. You can inform us in advance about the antiques that you have and we will ensure their maximum protection during the move. Do I have to disassemble my bed for the move? We handle the disassembly of all kinds of furniture, particularly beds and bed sets. Regardless of the type and size of your beds, whether single-sized, double-sized, queen-sized, or king-sized, our professionals know exactly how to disassemble beds for moving. Do you charge on a fixed rate or hourly rate? Our rate of pay and contracts are open to both fixed rates and hourly rates. Our flexible payment schemes provide our customers with the convenience of choosing the method they prefer. When we provide you with a quotation, we provide you with a breakdown of both our fixed rates and hourly rates for the move so that you can choose accordingly. If you are unsure of your exact requirements for the move and would like the services of our removalists as and when you need them, you should choose our hourly rates. On the other hand, if you have your move planned out perfectly then you should choose our fixed rates for the best pricing. Should I be present during the pickup? It is important for you, or someone on your behalf to be present during the pickup and loading process. This is to ensure that our removalists can inquire you about any questions regarding the pickup, packaging, or loading process if there is confusion. Furthermore, even though our professional removalists are trained to handle and facilitate all kinds of moves, it is always good to have the client’s (your) opinion on something. If you cannot be available for any reason, it is advised that you arrange someone in your absence who can organize the move. The duration of your move depends on a number of factors but it mainly depends on the size and complexity of your move. There is no definitive answer to how long will the move take, but it depends on the following factors:  The size of your move i.e. how big is your home/office and the number of boxes that need to be moved.  The number of floors at your pickup and destination. A two-storied move will take longer than a one-storied move.  Whether you have furniture, vehicles, pianos, pool tables, antiques, and BBQs that need to be moved.  How far is the destination from the pickup – the traveling time varies according to the distance to be moved. Despite this, we can provide you with a rough estimate of how long our removalists will take to complete the process of loading your valuables in the truck:  A one-bedroom house takes up to 2-3 hours.  A two-bedroom house or small office takes up to 3-4 hours.  A three to four bedroom house or mid-sized office takes up to 7-8 hours. What do your removal costs include? We have a wide variety of services available for you including interstate removals services, backloading services, packaging and loading services, furniture removals services, house removals services, and office removals services. Each type of service comes with its own removal costs that cover different aspects of your move. However, if you choose our complete removals services that cover everything from the planning to the decoration of your new home or office, then our removal costs will include the planning, packaging, loading, disassembly and assembly of furniture, unloading, unpacking, and decoration. As value-added services, we provide you with free boxes and packaging materials (packing tape and paper, furniture covers) to facilitate your move. In addition to all of this, regardless of what the type and size of your move, we always provide you with experience and professional removalists who are the best at what they do.